Microsoft PowerPoint is used by the majority of places to showcase the projects or an idea in the form of a slideshow. We use to add the timer, animations, graphs, and many more things in our slides. These cool stuff make the Microsoft PowerPoint very popular among a variety of other slideshow maker software. Also, using PowerPoint is a straightforward thing even a small kid can also learn how to use it in a couple of days. But, have you ever thought about how you can highlight text in PowerPoint? If your answer is yes and you didn’t find anything worthy right now. Then, don’t worry because today I am going to show you how to do so. You can also embed a YouTube video in PowerPoint as well. Microsoft has provided the highlighter in Microsoft Word. But, unfortunately, Microsoft PowerPoint doesn’t have it. So, the question arise here is that if it is not present then how we can highlight text in PowerPoint? Well, it is possible that you can do so. Here, I have explained two different ways which you can learn how you can highlight text in PowerPoint. Also, it does not restrict the version of Microsoft Office. You can use it in every Microsoft Office version such as Microsoft Office 2010, 2013, 2007, 2003, etc. Not even this much, but you can add audio to PowerPoint slides as well. If you want to highlight text in PowerPoint, then you can take the help of text animations which is available in the menu bar of PowerPoint. This method will be complicated for you so make sure you follow every step carefully. There are many animations available which can help you to highlight your text in the PowerPoint. Not even that, but also you can create your own animation as well. Using this only the text will be highlighted. So, without wasting time let’s get started. Open Microsoft PowerPoint on your PC/laptop. Now, open the PowerPoint file whose text you want to highlight. Then, select the text which you can to highlight. After that, go to the Animation tab. Now, click on the Add Animation button. Under the Emphasis, section chooses any of the animations according to you. Once selected, then choose the onscreen options to change colour, font, etc. If you want to make the slide more professional and want some tweaks to enhance the text which you have highlighted right now. Then, this method is definitely for you guys. This method will teach you about how you can add a background colour to your highlighted text, and it will animate along with the text. The first method was light much complicated but, this one is ready for you if you have learned the first one. So, yes we can start right now. Follow the above method before going to the next step. Now, draw a rectangle at your text which you want to enhance. Then, choose Fill color -> Color. After that, choose Line color -> No line color. Again, follow steps from step four to step seven. That’s it; you are done. We have seen two different ways by which we can highlight text in PowerPoint. Let me tell you that if you want to highlight something on a graph which you have used in your slide then, of course, you can do so. But, these methods will not work for that. However, there is no other way by which you can highlight text in PowerPoint. Moreover, make sure you add watermark in PowerPoint also so that it will get more genuine and authentic. 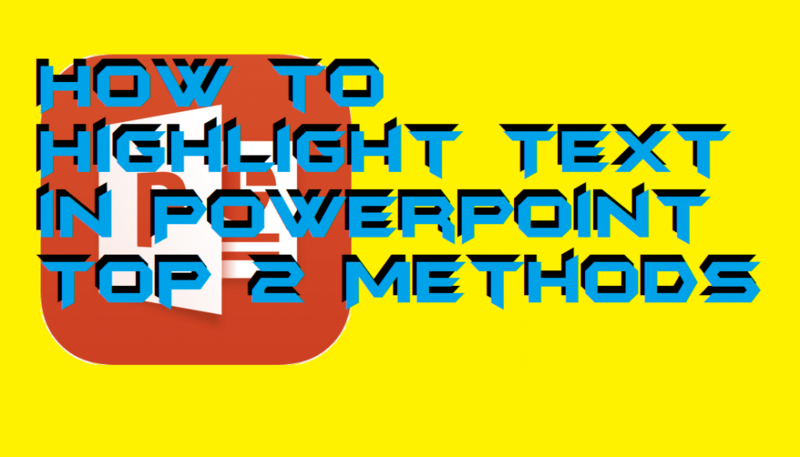 I hope using this article you have learned how you can highlight text in PowerPoint. 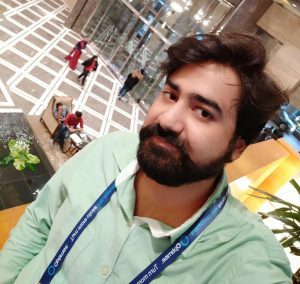 Share this article with other peoples so that they can also learn the same.